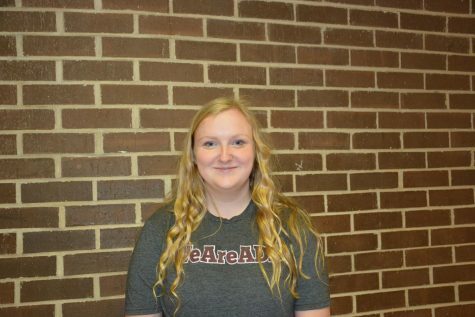 Delaney Beak is sophomore at Ada High and is going into her first year of working for the Cougar Call as copy editor. Beak likes to write and edit all types of writing. Beak also enjoys reading. She loves to read all types of genres, though she enjoys reading science fiction the most. Beak is also involved in the school’s band. She enjoys playing her flute and hanging out with her friends. She also likes to speak her mind and share her opinion with those around her.